This Mandala shows the various possibilities of architecture in a fictive Medieval Town – the poorer quarters and rural buildings as well as the town and city buildings, castle-types and large portals. In the center you find a secret garden behind a gate – and you can catch a glimpse of the waterplay there. 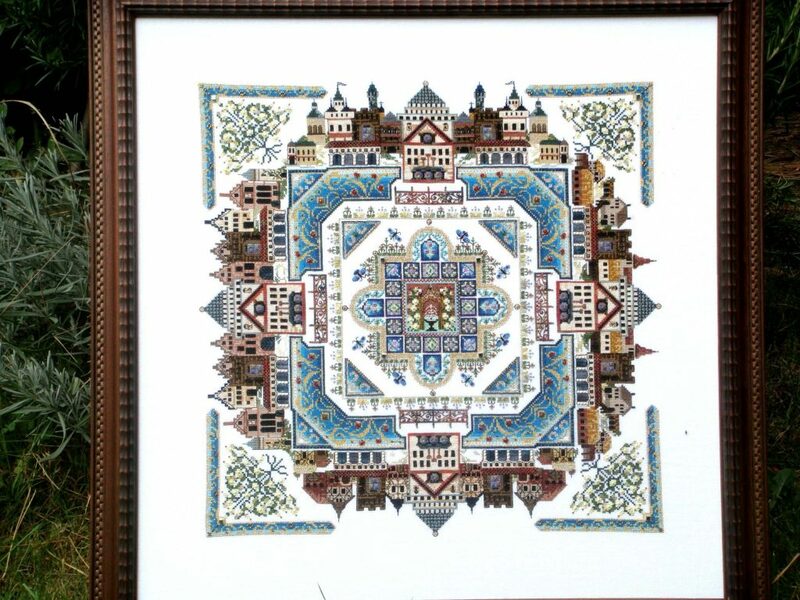 Surrounded by silken ornaments and embellished by Special Stitches, beads and crystals, you will stitch this decorative design and be entertained by different buildings as well as different materials. I am getting ready to start The Medieval Town Mandala. Do I use Silken Pearl Vintage Brown as it is on skein. It seems heavier than the 2 strands of the other threads that are used. Thanks. Jan, please refer to the pre-instructions general hints -the use of all threads is explained there. Use it “as it is” as it works for added dimension and texture. 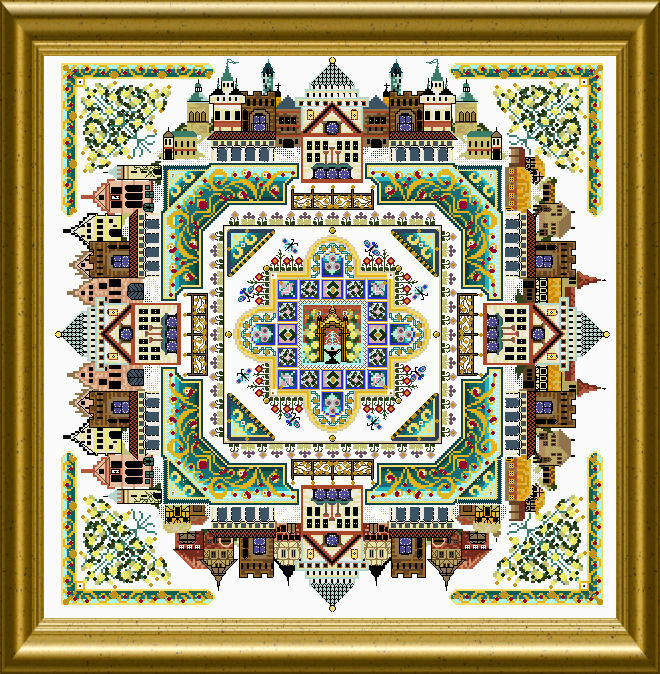 Hi I am interested in the Medieval Town Mandala. Is this price 36 euro for a kit or is it just a pattern. If I just buy a pattern does it include maybe a DMC conversion. Hi, I sell patterns only, as a PDF for download. No materials, no kits. And yes, where possible I include a DMC conversion. Hello, I wanted to look at the material list for this mandala but the page can’t be found. Is there an error? Thank you for your kind help! I am in the process of uploading all materials list and had some problems with a few uploads. Sorry. You’re right! Thanks for the hint. I solved it.